As with anything in life, if you want to build a successful crowdfunding campaign in Australia, an idea is not enough. Whilst the idea initiates the process, you need time, effort, finance and of course a little bit of help. 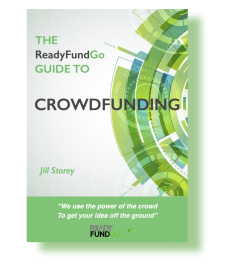 People know about crowdfunding campaigns in Australia, and can probably tell you about all the basic fundamentals, but what about the crowdfunding secrets? What about the quick wins that are so desperately needed in order to catapult your business? One of the top mistakes a business can make when starting a crowdfunding campaign is presuming that everyone will love and understand your idea just as much as you. Do not get tunnel vision and assume people will believe in your idea at the first instance. You need to be able to share your love, your passion, your belief before you immediately start asking for the financial backing. If people understand the “why” to your “what” they could be more forthcoming than the other way around. Do not fall into the trap of thinking step 1 is the difficult step. Just like a mountain as you get closer to the summit the, the more challenging you will find it. Receiving the backing is only half the battle. So lets say you have have managed to convey your passion and share the true meaning behind your business – Well Done you are beginning to get backers. However, this is only half the battle. What people don’t realise is that these backers are your gold-dust and it is important to keep them updated with how everything is going. Any speed bumps along the way or any great results you must let them know, after all it is their money and you don’t just want their money, you want their belief. Keep in mind not all startups succeed. If you were to not succeed this time, there is every chance these investors can back you next time, if they believe in YOU and not just your business. If you are reading this there is every chance you are trying to work out if this whole crowdfunding business is for you. And here is another secret, crowdfunding is for everyone, however there are a number of factors at play. Timing, Business type, people involved, financial requirement, the list goes on and on. The truth is that depending on all these different factors crowdfunding may or may not be right for you in this particular instant. The best way is research (see our resources for further info and assistance) and use our experts help to determine in what capacity we can help you with your venture. 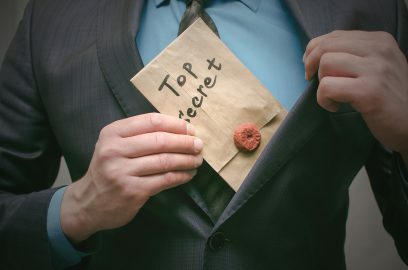 Get ready for this one, the real ingredient behind crowdfunding secrets, is….. that there are no hidden crowdfunding secrets, there are no easy ways around it. Crowdfunding takes work, time and effort, but with the right amount, the results will be more than worth it. The key is to understand that it’s not easy and there will be tough times on your hike to the summit, but if done correctly with the right amount of preparation, you could exceed all expectations.